Welcome back Crafty Friends! I have some very exciting NEWS to share with you today... I was lucky enough to be invited back to join the DT at Our Daily Bread Designs! A few years back, I was actually a Member of the ODBD Challenge DT and was also a Guest DT, so it's a great thrill to return to this fabulous company. To start, I'm showcasing my first 2 cards using ODBD's New May Release Stamp Sets for my part of the Hop. If you look closely, you will notice the Tulle covering the background panel (cut with the lovely Vintage Flourish Pattern Background Die). 3 randomly selected winners will each receive a $25 gift certificate to the ODBD Store, to be used toward the purchase of ODBD Stamps found in the "stamps column" of the website just for commenting on the Design Team cards! You have until May 2, 2015 at 9:00 p.m. EDT to leave your comments on the DT Blogs for a chance to win! The Winners will be posted on the ODBD Blog on May 3rd, so be sure to check to see if you won! To continue on this ODBD BLOG-HOP, be sure to stop by the following DT Member's Blogs for fabulous inspiration and your chance to WIN! 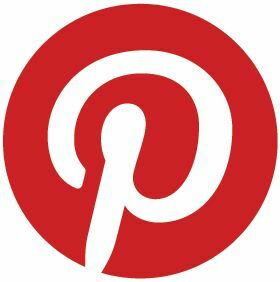 If you arrived here from Cathy's Blog, then you are in the right place! If not, please pop back to ODBD and start there to not miss your chance to win! The ODBD Blog has all the Hop Details. Both are stunning America! And congratulations on returning to ODB..
Great to have you back, America!! Beautiful samples for this release!! Love the tulle addition! Gorgeous cards! I love the soft and subtle colors and all the texture! Beautiful examples America! Love how you used the delicate die in the second card to make its base! I'm so glad to be designing for ODBD with you! Your cards are beautiful!!! You have showcased the new dies and stamps wonderfully. I am loving the new little birds and it is fun to see what everyone has done with them. Congrats on being back on the design team. I have always loved your work every since I saw your cards on SCS many years ago and I follow your blog. Beautiful work. I can see why you were invited back. Congratulations! Welcome back. love your creations. especially the Lord's prayer. soft an comforting. Fabulous both cards!! My preferred is the firts one, it's stunning!! What gorgeous, rich, luxurious looking cards - the way you use ribbon is beautiful. And the filigree panel with tulle looks amazing! So happy to have you back on the team America!! And your cards are STUNNING!!! Welcome home, America!!! So awesome that you're back in the Breadbasket!!! Both of your cards are super gorgeous!!!! Can't wait to see more!! HUGS!! Welcome back, dear friend!! Glad to have you back as a fellow breadstick!! Your work is always gorgeous and these are not exception!! I love the first with the embossed background and your beautifully colored birds in such an elegant layout and the second framing and details of the 23rd Psalm!! Stunning work! Oh America... I'm so happy to see you back in the bread basket! I am a huge admirer of your cards and these are a great way to start!!! Just beautiful! I can only imagine how beautiful that tulle must in IRL and your layering is so pretty! I love how you embellished the top card with the gorgeous pearls and ribbon! Wowzers gf!!! Wow, I LOVE your first card. It is the berries! The colors, shapes and embellishments are perfect the way you pulled it all together. Your Lord's Prayer card is a classic and is just what it is meant to be. Lovely work, America. Wow, your cards are both incredibly gorgeous! Love the textured backgrounds on both and really love the ivory and aqua colors on the first! Welcome back to the breadbasket! Look forward to seeing your designs! Welcome, America, to the ODBD Design Team. Beautiful creations with so much detail. Such a rich looking card!! Love both of your projects America! 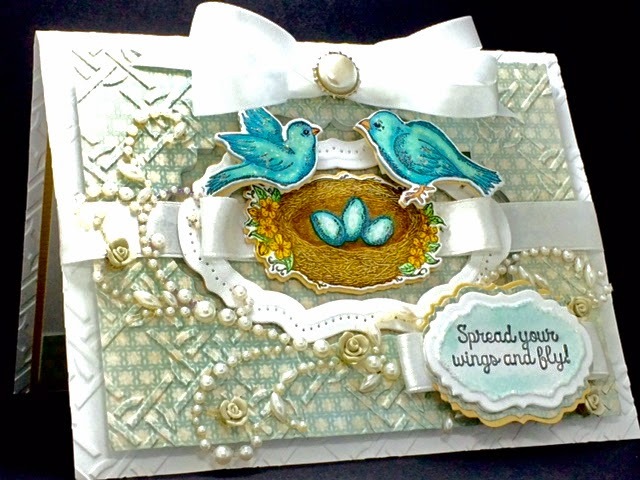 Those sweet blue birds are just darling and those delightful textures on your second card... fabulous! Welcome back! Thrilled to be working with you! America - what stunning creations!! I fell in love with your first card immediately - with the texture, beautiful papers and those adorable birds! I love how you weaved the ribbon under the nest and all the fun pearl flourishes - so pretty. Your second card is breathtaking! 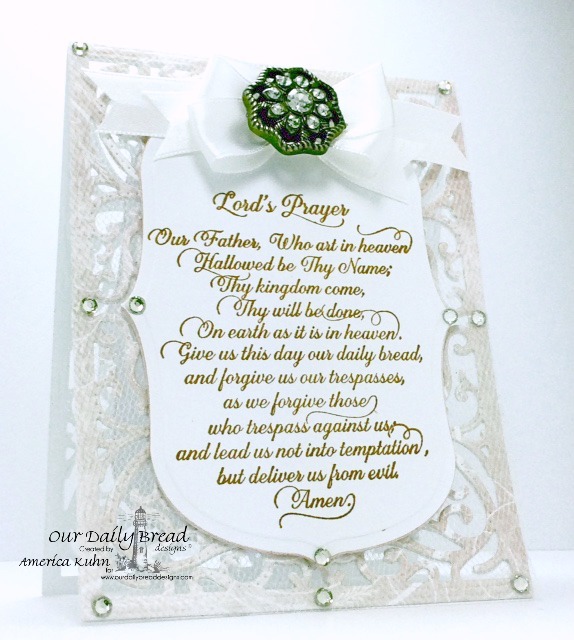 The hinge design, the soft whites and gems show off the Lords Prayer beautifully! Your cards are so elegant America! Love how you used the dies and the delicate design! I'm so glad you have joined us to share your talent and gorgeous creations. Thanks for the inspiration. Hugs, Gracie. Oh, so beautiful!! Love the yummy bows on both! Love how you framed the Lord's Prayer card. Love these soft, elegant beauties America! Such luscious details too! Very pretty cards. Love how you colored the birds with the nest. Excellent designs. Beautiful designs...so creative ! Great use of the dies. The embossing the first card is gorgeous! Your cards are beautiful! Welcome back to the design team for this wonderful company! Your cards are beautiful. Beautiful cards! Lovely colors and texture on the first card, love the tulle on the second card. WOW, America…both cards are gorgeous! Love all the texture, layers, and the elegant designs of both! Welcome back to the Breadbasket…looking forward to more beauties! Hugs! Gorgeous card. My favorite is the Lord's prayer card. Well done. Congratulations on being back. Your cards are so lovely. America, these creations of yours are stunning! I love the pearlized and embossed background of your first card. Fabulous cards! Thanks for sharing ​it​ with us at Through the Craft Room Door. Hope to see you again soon and good luck in the prize draw! America, thanks for joining us on the team! Both your cards are fantastic!! Such beautiful layers on your cards!! Spectacular card, AMerica! I love the swirly pearl embellies. :-D Thank you so much for playing in our "Things with Wings" challenge this fortnight. Good luck in the draw and I hope you'll play again soon. Lovely project hun. Thanks for joining us at Craft Your Passion challenge. Both are beautiful, America! Welcome back! Such beautiful layouts and I love all the gems and trinkets. This is a wonderful card! Thanks for joining in with the Crafty Ribbons Challenge this time!